​Coachella, or should I say #Beychella, began its Weekend One this past Friday (April 13), and although the lineup is quite star-studded, many were looking forward to one performer more than any: Beyoncé! And she did not disappoint. Beyoncé took the stage last night for her first performance of the festival, and her grueling ​11-hour rehearsals definitely paid off. "Y'all ready Coachella?," Bey began her set by asking this to the crowd. But we don't think anything could've prepared us for the perfection that was her performance! Besides performing a wide-span set of all her hits throughout the years, special guests took the stage as well. Jay-Z surprised the audience, as well as Solange, but the best of all? Kelly Rowland and Michelle Williams showed up for a Destiny's Child reunion! All our dreams came true in Indio, California last night. And all thanks to Beyoncé and her amazing crew! Besides her performance being outstanding, Beyoncé also ​made history, becoming the first African American woman to headline Coachella. First of all, that number needs to go up, ASAP. 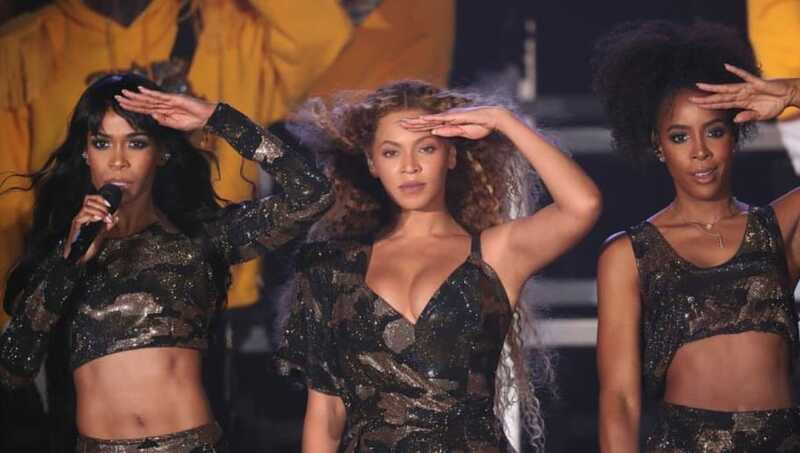 But secondly, we're so happy Bey was the one to do the honor. #Beychella continues today, and next weekend for Weekend Two.